We’d love your help. 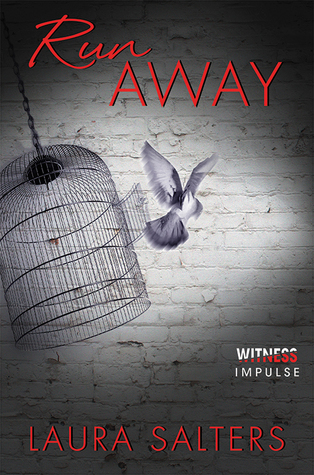 Let us know what’s wrong with this preview of Run Away by Laura Salters. "Ignorance is bliss…until there's blood involved." Drenched in blood and sitting in the sweltering interview room of a Thai police station, Kayla Finch knows that Sam, the love of her life, is dead. It doesn't matter that there's no body. All that blood can mean only one thing. It isn't the first time Kayla's had blood on her hands. After finding her brother dead by his own "Ignorance is bliss…until there's blood involved." It isn't the first time Kayla's had blood on her hands. After finding her brother dead by his own hand, she tried to outrun her grief by escaping to Thailand. Heartbroken, the last thing she expected was to find love on the smoggy streets of Bangkok. But everyone Kayla loves seems to wind up dead. Returning home to England, Kayla is left with a barely-functioning family, a string of gruesome nightmares, and the niggling feeling that nothing is as it seems. And as she confronts her brother's suicide, she starts to suspect that something is very wrong. What a beautiful, twisty plot! Laura Salters is a suspense master. Reading RUN AWAY, I was on the edge of my seat the whole time. Not to mention the romantic tension built into the narrative. GAH!!! Run Away takes the reader on a whirlwind vacation, visiting many exotic locales, as the heroine, Kayla tries to heal after the death of a loved one. But, her vacation soon turns into a nightmare when her friend, Sam goes missing--leaving behind a ghastly amount of blood. Just when I thought I had the What a beautiful, twisty plot! Laura Salters is a suspense master. Reading RUN AWAY, I was on the edge of my seat the whole time. Not to mention the romantic tension built into the narrative. GAH!!! Just when I thought I had the mystery solved, Ms. Salters throws in a twist, and my mind was blown. I didn't see the ending coming, and it was brilliant!! Run Away is a great debut! I'm not kidding--make sure you don't have anything too important to do before you reach the halfway point of this book. Told myself I'd "just read a couple more chapters" before bed last night and then I blinked and it was 2am. There are so many great twists that even if you guess a few of them, there'll be a bunch left over to enjoy. Run Away is Laura's debut nivel and I couldn't be mor excited about that! She's become a great friend in Twitter and I've heard so many things about the book, it just sounds like an amazing book and it really was. The story follows Kayla, a 20 years old girl, who's been traveling Asia with her new best friends. Well, when the stiry stars Kayla is in a real dark olace and the scene is auite dramatic, shocking and sad. She finds her friend Sam's room in Thailand drenched in blood... Then we are taken to the present day, where she gets back still shocked. She is greated by her parents, but the situation at home isn't better. We then learn that a few months ago, Kayla's younger brother Gabe died. That poor girl, going through so much in just a few months, she finally gets help and starts dealing wuth everything. At home she is determined to find out why her brother killed himself and she also can't believe everything that is investigated in Sam's case. She talks to different people fighting to find out the truth and let me just tell you it's very surprising and shocking, but that's the great thing about this book! There is a great mystery surrounding the story and the writing captures it perfectly. I felt so close to Kayla and her feelings and emitions were described in such a delicate and wonderful way. The characters were well lined out and I liked that the chapters switched from persent day to Kayla's travels. The end of the chaoetrs were always at a point, where I wanted to read on, so I just kept on reading, because I couldn't wait to find out what hapoened next. This is a touching, emotional, and wonderful novel talking about difficult topics. The plot is deep, surprising and full of rich details ( from the places, over the characters to their feelings) The writing is gripping, spellbinding, tozching, captuvating and just marvellous. Such a winderful debut!!! Laura, you're a vers talented young lady, can't wait to read more of your stories!!!! I'm not usually a big suspense reader--I like the ones I've read but it's not something I automatically grab. This book might change that. Laura's story is all encompassing--a love story, a mystery, a suspense, and a family saga. Kayla, a girl from a wealthy family is still recovering from her brother's suicide. To recover, she goes on a gap year trip to Thailand where she meets Sam, an incredibly lovable, sarcastic and gentle giant, who she begins to fall for. Before their love story c Holy. Cow. Laura's story is all encompassing--a love story, a mystery, a suspense, and a family saga. Kayla, a girl from a wealthy family is still recovering from her brother's suicide. To recover, she goes on a gap year trip to Thailand where she meets Sam, an incredibly lovable, sarcastic and gentle giant, who she begins to fall for. Before their love story can officially take off, she finds herself in a pool of Sam's blood and though there is no body, that much blood can only mean death. Flashing back between her Thailand trip and present day, Kayla's story begins to present a myriad of suspicious characters as she pieces together that, perhaps, the deaths of the two people closest to her might be related. I was on pins and needles the entire time I read this story. Salters' ability to craft a story where no obvious suspect is identifiable is spectacular. I found myself rolling my shoulders constantly to get rid of the skeevy feeling on the back of my neck during some of the creepier scenes and laughing out loud during the touching ones. Each character brings depth to the story and they are multi-dimensional. Even the darker characters have kind sides to them...and that's exactly what threw all of my guesses off! All of the clues Salters' presents are plausible and I had to keep turning pages to find out what happened because adding up the signs boggled my mind. Ultimately, when every clue given ties together, the moment of resolution is like a gasp for air. It felt like I hadn't breathed the entire time I read the book. I'd recommend this story to anyone who loves being on edge, loves mysteries and wants to feel a touch of a love story as well. "That constant feeling of impending threat that crawled over her skin like menacing little ants." That line pretty much summarizes how I felt the entire time I was reading this story. Imagine Gillian Flynn wrote new adult--and set it in Thailand/England instead of the Ozarks--and you've got Laura's Salter's RUN AWAY. Salter's is a master of mood and tension, and she's honed the art of alternating timelines in a way that will make hundreds of authors read with envy. But in addition to Mind. Blown. "It was the kind of happiness you sometimes experience for no reason at all. It just creeps up on you when the right song is playing, and you smell really good, and you remember something someone said that day that made you feel all warm and fuzzy inside. Nothing major, but the little things just add up and make you feel untouchable." If you're looking for stories that push the boundaries of what new adult is and what it could be, I highly suggest you read RUN AWAY. I read an early version of Run Away, and I was floored with the massive amounts of talent Laura Salters possesses. I do not want to give anything away, but I will say that in the version I read, the prose is rich in detail and emotion, heightened by her clear depiction of places I have never been. I can't wait for May-it was an amazing read in draft, and I know it will blow me away (even more)in this final edition! I was lucky enough to read this book last year, and it was so captivating that I flew through it in a day - I couldn't/wouldn't put it down. Talented, descriptive writing and a stomach-churning plot. I'm sure that it will be even better after revisions and I can't wait to read the finished product! I’m still on edge and tense and surprised—and I read this over a month ago. That’s how into this book I got. Laura Salters is a phenomenal writer. She has the ability to describe places so well that I felt like I was right there with the characters, even though I've never been to this particular part of Northern England - or Thailand at all. And let's talk about those characters - and character development. Was I the only one who wanted to party with the characters? But seriously, Kayla's journe I’m still on edge and tense and surprised—and I read this over a month ago. That’s how into this book I got. Laura Salters is a phenomenal writer. She has the ability to describe places so well that I felt like I was right there with the characters, even though I've never been to this particular part of Northern England - or Thailand at all. And let's talk about those characters - and character development. Was I the only one who wanted to party with the characters? But seriously, Kayla's journey through the book was written so well I was there, not just in setting, but emotionally. I was with her. I felt the tension seize my gut. I felt her frustration, her grief, her determination. The chapters alternating alternate between present and past, which really worked for me, because it made reading the book that much more sinister. It gave me the right amount of "where am I again" to add to everything going on in the plots. Plus, I loved that we got to travel back to the past and see who Kayla was pre-shock. I liked seeing her interact with her friends as well as how her friendship with Sam developed into a relationship. Because when I began the book, I thought, how am I supposed to get to like this guy if he's...(no spoilers here)? But Salters got me, as I knew she would, because this story didn't read like a debut novel. I can't even--with the ending of this book! The Scooby Gang isn't knocking down my door to join them, but I've read a lot of Suspense in my day, and the end of RUN AWAY totally shocked me. I had no clue. It wasn't out of left field, the plot and characters were just that well-written. Whatever you think this book is about, you're wrong. This is supposed to be a debut novel, but Salters pulls this off like she's a multi-bestselling-novelist! Starting with the clever and perfectly executed two-timeline switching chapters – before the incident and after the incident -- you very quickly realize you’re in for a ride. As the two timelines advance, the pieces fall into place and just when you think you got it, she kicks you in the shin, knees you in the... emm...forehead, then runs in another direction. The other masterful piece is the setting, or better said, settings. If you haven't been to Thailand and neighboring regions, don't worry. You'll feel like you've been there, partied it up, and haven't bathed or eaten properly for weeks to boot. I am hesitant in saying more because the power and mastery of this story is in what you don't expect. And trust me, you won't expect it! A thriller, a psychological ground-and-pound, and a love story all intertwine in this top-notch novel. Debut? Maybe. But after readers get their hand on this one, we're bound to get more gems from Salters! I had been itching to read this book ever since I first heard about it. I love a good, twisty story, and this one definitely delivers-- plus, the gorgeous Thailand locales are described so well that the book really transported me and sucked me in. RUN AWAY is the story of Kayla, who escapes her dreary reality in Northumberland following her brother's suicide for a tour group in Thailand. Here, she meets some new friends-- and Sam, with whom she shares a strong attraction. But when Sam disappears I had been itching to read this book ever since I first heard about it. I love a good, twisty story, and this one definitely delivers-- plus, the gorgeous Thailand locales are described so well that the book really transported me and sucked me in. RUN AWAY is the story of Kayla, who escapes her dreary reality in Northumberland following her brother's suicide for a tour group in Thailand. Here, she meets some new friends-- and Sam, with whom she shares a strong attraction. But when Sam disappears, leaving behind a pool of blood, Kayla is left with unanswered questions-- along with the sense that something doesn't quite add up. Run Away was told in both the past and present of Kayla. Her experienced in England after her brother's death, her meeting with Sam in Thailand, and when let's just say sh*t hits the fan. How can I just say my thoughts without spoiling the mysteries that were revealed concerning Kayla and those around her. As much as I wanted to put down reading this I couldn't till I reached the ending. Let me tell you, the revelations were shocking. I meant shocking in a way I never suspected the crimi Just wow. How can I just say my thoughts without spoiling the mysteries that were revealed concerning Kayla and those around her. As much as I wanted to put down reading this I couldn't till I reached the ending. Let me tell you, the revelations were shocking. I meant shocking in a way I never suspected the criminals behind this mind blowing plot. After reading Run Away, I was sort of an emotional wrecked, actually scratch that. Reading Run Way was a very emotional read. The characters were just fantastic especially the MC. At the same time, she was also putting herself in danger with the inquisitions. And when she finally fot her answer it was something totally unexpected. One thing I'm glad about is that a bit of something good came out of this. Part dark thriller, part YA, part mystery, part suspense, part romance, Run Away really is a novel that covers all bases and it does so with the biggest of bangs. The story centers around a young woman called Kayla Finch. Kayla has gone travelling in Thailand in an attempt to recover from the suicide of her brother, Gabe. However she didn’t count on falling in love with one her her fellow travellers, Sam. The pair gradually get to know one another but after a series of strange events Kayla is left heartbroken once again when she discovers Sam’s room drenched in his blood. There’s no sign of his body but it doesn’t take a genius to work out that things don’t look good for Sam. But what happened to him? Where is his body? And why does everyone Kayla gets close to end up dead…? Surely these two tragic incidents can’t be connected. Right? Genre wise, if I had to put this novel in a box I’d probably label it YA/NA/Thriller which is not a genre I read that much of. This is something which drastically needs to change as I couldn’t get enough of this tense, unexpectedly dark, exciting story. I was sucked into this story right from the off. It begins on a pretty dramatic note when Kayla discovers Sam’s blood and is even under suspicion herself. She then travels back to England and more of the story is revealed, including why she went travelling in the first place. Kayla is determined not to let Sam’s dissapearance drop, despite the lack of interest from the British Police and the story grows more intriguing by the page as Kayla sets about discovering the truth for herself. You will then find it increasingly harder to tear yourself away from this story as there are a lot of curveballs coming your way, dearest reader. And I meant A LOT. I don’t think I would have ever guessed what Laura Salter’s had up her sleeve-plotwise. It came as a complete shock to me, just when I thought I knew where things were at and suddenly BOOM, it turns out you know nothing. I love it when that happens…Y’know when you’re reading a book and you suddenly get what’s happening and want to start discussing it with everyone? That is exactly how Run Away will make you feel. Whilst you’ve got the scary/tense/thrilling/mysterious part of the story, there’s also the romance. I’m not just talking about Kayla and Stephen, but I really liked reading about Russia and Dave, too. Their relationships are complex and at times, heart wrenching. If you’re into Young Adult/New Adult then it goes without saying that this is a must-read for you, but even if you’re not then I urge you to give this a try. If you are looking for a rollercoaster of a read that will completely take over your life for a day or two then one-click Run Away. I have to say, the beginning of Run Away really draws you in. It's rare that I read a book that has me hooked instantly from the first page, but this one had that kind of beginning. Run Away alternates in view from Kayla’s present to past. I'm usually not fond of that, but in this book it is needed and it just fits. As you read about Kayla’s past you get to learn more about her and Sam, which is crucial. We get to understand the real Kayla because the present Kayla is full of grief. Then as the I have to say, the beginning of Run Away really draws you in. It's rare that I read a book that has me hooked instantly from the first page, but this one had that kind of beginning. Run Away alternates in view from Kayla’s present to past. I'm usually not fond of that, but in this book it is needed and it just fits. As you read about Kayla’s past you get to learn more about her and Sam, which is crucial. We get to understand the real Kayla because the present Kayla is full of grief. Then as the story goes on we get to know who Sam is, which is painful because we already THINK we know what happens to him. However, it was so fun reading about their adventures together. They both have great senses of humor and there were many times that I had to laugh at their antics. Kayla's story is one to break hearts. Every pages turned is like a knife to the heart because we learn more about what she went through with her brother and Sam, and then we discover her growing relationship with Sam. However, knowing something bad might have happened to him makes their growing relationship in her past POV a little painful to read about. One thing I like about this book is that it really explored the feelings of loss and grief. It's so raw and real that it makes the story seem more real as well. Honestly, reading this book was intense. There was a constant buildup of anticipation from the beginning until the very end. Every page was a mystery uncovered and one step closer to figuring out what happened with Sam. It's really captivating. There was never a moment that I was bored. I could practically feel Kayla's determination and pain through the whole book and it made me want to read more. It made me want to find out what happened to Sam too. I don't usually pick up murder mystery books, but I'm glad Salters approached me about reading her book. It makes me want to read more books like it. It was a long wait to get my hands on Run Away. I had preorder the kindle edition on the day that it was available and had to wait for what seemed like an eternity to actually read it. IT WAS WORTH THE WAIT. There are many reasons why I believe Run Away is an excellent novel, with the first being the wonderful setting of Thailand. I've never had the pleasure of visiting this beautiful country but I know many who have, and the experiences they described are eerily similar to some of the events in It was a long wait to get my hands on Run Away. I had preorder the kindle edition on the day that it was available and had to wait for what seemed like an eternity to actually read it. IT WAS WORTH THE WAIT. There are many reasons why I believe Run Away is an excellent novel, with the first being the wonderful setting of Thailand. I've never had the pleasure of visiting this beautiful country but I know many who have, and the experiences they described are eerily similar to some of the events in this book (nothing as disastrous though). That ability to capture and communicate an experience so vividly is a wonderful skill that I am most definitely envious of. Having a great setting is one thing, but having a plot to back it up is another. My God, did Salters deliver a knockout plot. One page in and you're already desperate for information, trying to unravel the mystery while simultaneously trying not to tear your eyes away from the page. I can guarantee you, no matter how much of the mystery you try to unravel, you are not prepared for what is about to come. There were so many twists and turns in this novel that I pulled a muscle in brain while reading it. There was so much suspense that I forgot to breathe on occasion. This is the debut novel, published only last month, by author Laura Salters. And my gosh is it good. I was gripped from the start. From the vivid, colourful description in the opening scene, the story had such substance and I was glued, eager to devour it and know more. The tagline of the book (“Ignorance is bliss, until there’s blood involved”) features in the first chapter and is but the first example of the beautiful and gripping prose found throughout the novel. The beautiful descriptions of t This is the debut novel, published only last month, by author Laura Salters. And my gosh is it good. The tagline of the book (“Ignorance is bliss, until there’s blood involved”) features in the first chapter and is but the first example of the beautiful and gripping prose found throughout the novel. The beautiful descriptions of the foreign country allow the reader to perfectly imagine the scenery, and the accessible writing and realistic dialogue mean the reader can feel themselves in the position of the characters on the page. Furthermore, you know you have a powerful writer, when in one short sentence she can make you gasp, recoil, and you feel so excited and scared and apprehensive as if you were witnessing the events in front of you. This mystery/thriller debut novel certainly did not disappoint the genre – so many twists and turns, every time you think you know something you’re wrong, and I loved every minute of it. Moreover, you know that feeling you get when you know you’re reaching the climax of the story, and instead of taking in the story on the page, your eyes are simply scanning the words, hurriedly seeking the information, the revelation. It can be so difficult to slow down and take in all the details, and fully appreciate the story, and Salters capture this feeling perfectly, stirring in the reader the desperation to know what happens. However, I do recommend that, hard as it is, you slow down and take in all the details, as you don’t want to miss a word of this amazing novel. Finally, Salters writes in the final chapter what has to be one of my all-time favourite descriptions, “Bourneville chocolate-coloured hair”. Such a British sentence, and a wonderful way to close a fabulous book. If you are not sure about reading this book... Stop thinking about it, just do it! I wasn't so sure I would like this book, but it kept me hooked until I had it finished in one sitting. The story is switching back and forth between the time Kayla spent in Thailand after her brothers aparrent suicide and the current time where she is back at home trying to still come to terms with her brothers death and locating his bully, as well as coming to terms that her best-friend and loveinterest, Sam, wen If you are not sure about reading this book... Stop thinking about it, just do it! I wasn't so sure I would like this book, but it kept me hooked until I had it finished in one sitting. The story is switching back and forth between the time Kayla spent in Thailand after her brothers aparrent suicide and the current time where she is back at home trying to still come to terms with her brothers death and locating his bully, as well as coming to terms that her best-friend and loveinterest, Sam, went missing in Tailand and the chance of him being alive are slim to none. I cried at times trying to imagine what Kayla (or her brother) had to go through alone as her family did offer her no support at a time where she needed it most and not even before her broter killed himself. This story has many unexpected twists and turns and will keep you guessing and thinking on so many questions you won't be able to put it down until every single one is answered Though I have to admit, the ending was too short for me as I would have liked for it to be a bit longer and not so abrupt (IMO). Go read this great lovestory, suspense and mystery book for yourself but check you have enough time as you won't want to put Salters' book down until the end. She has a refreshing new way to tell a story that will keep you on your toes to find some answers alongside Kayla, if Sam is still alive and what really happened to him? Wow, what a crazy ride! From the mystery and suspense to the vividly described setting, Run Away stands out among New Adult books. Salters’ writing is descriptive and the story flows, and there’s so much wit and diversity in her characters that you can’t help but be pulled into the world she’s created. The story follows Kayla to Thailand where she tries to come to turns with a recent tragedy, throwing her directly into another. From there the reader bounces back and forth between the past and th Wow, what a crazy ride! From the mystery and suspense to the vividly described setting, Run Away stands out among New Adult books. Salters’ writing is descriptive and the story flows, and there’s so much wit and diversity in her characters that you can’t help but be pulled into the world she’s created. The story follows Kayla to Thailand where she tries to come to turns with a recent tragedy, throwing her directly into another. From there the reader bounces back and forth between the past and the present as Kayla works to piece together what really happened. There isn’t a lot I can say about the plot without giving it away—other than the fact that it’s not only thrilling, but funny and romantic and tragic at the same time—but I can't say enough about how amazing the writing is! Laura Salters’ debut novel is shockingly well-written. Kayla’s journey through Thailand is so vivid that I could feel the heat as I read, could picture the beaches and smell the stench of alcohol. It pulled me in so deep that I genuinely feel like I’ve been there myself. If you’re looking for a New Adult book that pushes the boundaries, Run Away by Laura Salters is the book for you! A grabbing mystery with an unexpected twist! Laura Salters uses clever storytelling to keep you on the edge of your seat, theorizing the possibilities surrounding the great unknown. By breaking the narrative into the worlds of the characters' past and present, Salters is able to keep readers engaged, mystified, curious, and anxious to turn the next page. Truly worth the read! Wow. This book blew my mind with how good it was. I loved the characters and how it went from past to present. I never saw half the plot twists coming. The author did a fantastic job. Deliciously suspenseful with an unexpected twist at the end. It's a keep-you-up-until-you-finish read. This is an EXCELLENT book. Still processing. Wow, what a debut for this new author. Bravo! Wow!!! That was one crazy ending out of nowhere!!! Completely left field. Good story though and I had actually thought of an even crazier ending - glad I was wrong. Overall liked the book, liked the tie-ins of subplots, and found it engaging and a fun read. I had a couple beefs with this book, though. 1. This book needed to be proofread. There were at least a dozen typos, formatting errors, etc. throughout that pulled me out of the prose each time. Obviously typos happen, but usually there aren't this many left in a book by publication. 2. If you are aware of the racial insensitivity of your characters enough to have other characters comment on it, and the dialogue in question adds nothing to the narrative, consider cutting it. There is no reason for Daivat to be called Dave in this book, and having him comment that he doesn't know if it's racist or not and feels like he's supposed to be mad but isn't is just kind of uncomfortable coming from a white author. There are a few moments like this (suggesting a Thai man's eyes are so small he must not have peripheral vision?) that were unnecessary to the story and really rubbed me the wrong way. I don't buy that Iris would explain the company's secrets to her spy in their entirety, in writing, in an email to her iphone. It was weird enough that she disclosed every detail of her wrongdoings to Kayla in a room she had to know was under video and audio surveillance accessible to police, but even that was slightly more believable than the email Sam solicited, especially if she had already started to distrust Ai Ling prior. This book was very well written as far as the story and the characters. However for me it was too slow. I just couldn’t seem to get into to it. The story is about a girl named Kayla whose brother committed suicide and she decides to go on a trip to Thailand to avoid dealing with her brother’s death. While on the trip she falls for a boy named Sam who is in the same group as her. Then Sam disappears, they don’t know if he left on his own or if he was taken. There may be some drug involvement. The This book was very well written as far as the story and the characters. However for me it was too slow. I just couldn’t seem to get into to it. The story is about a girl named Kayla whose brother committed suicide and she decides to go on a trip to Thailand to avoid dealing with her brother’s death. While on the trip she falls for a boy named Sam who is in the same group as her. Then Sam disappears, they don’t know if he left on his own or if he was taken. There may be some drug involvement. The book begins with Kayla coming home after Sam’s disappearance. Then continues alternating between what Kayla is currently going through with the death of her brother and Sam’s disappearance and when she first arrived in Thailand. For me it was frustrating and not that easy to get into either of the stories. It was almost like two books in one. I don’t mind a flash back or two but for me the constant alternating stopping me from getting into the book. The end really surprised me and was great. I never would have guessed who was behind everything in a million years. I would try another book by Laura to see if this was her writing style overall or just for this book. The book was not bad and neither was the story or characters. I just didn’t like the constant back and forth in the story. I did feel for Kayla and what was happening to her during the book. Sam and the others were great also. Sam and Kayla had a bunch of almosts and obviously have feeling for each other. The characters were great and made you feel for them. Again I think I would have enjoyed the book more if it was written differently. I liked the story line just not the back and forth. Laura Steven is an author, journalist and screenwriter from the northernmost town in England. Her first novel, Run Away, was published by HarperCollins in 2015, and Perfect Prey is due out in summer 2016 – both under the pseudonym Laura Salters. While juggling various freelance gigs and an MA in Creative Writing, you're most likely to find Laura at Mslexia HQ (where she works in advertising), on st Laura Steven is an author, journalist and screenwriter from the northernmost town in England. Her first novel, Run Away, was published by HarperCollins in 2015, and Perfect Prey is due out in summer 2016 – both under the pseudonym Laura Salters. While juggling various freelance gigs and an MA in Creative Writing, you're most likely to find Laura at Mslexia HQ (where she works in advertising), on stage performing, eating donuts, or penning TV pilots, radio dramas and feature screenplays – sometimes all at once. As a features writer with very little sense of self-preservation, there isn't much Laura won't do in the name of a good piece – past assignments have included skydiving from 15,000ft, learning professional blackjack, walking across the roof of a football stadium, and travelling to a Serbian fortress to cover a music festival. She also once paraglided off a mountain, but that was entirely accidental.